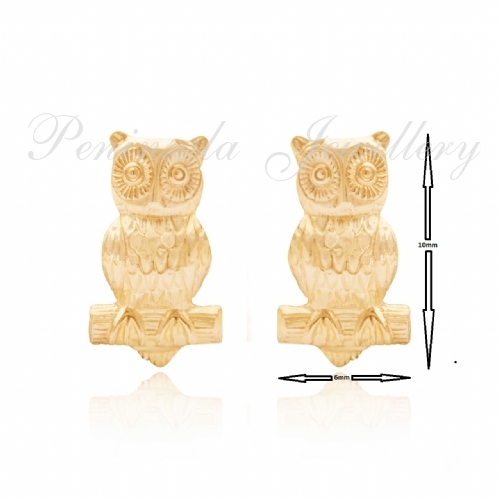 9ct gold Owl earrings with Andralok fittings. They are hinged halfway down the post - no scrolls required. Total dimensions: 10mm x 6mm. Supplied in a luxury box - great gift!